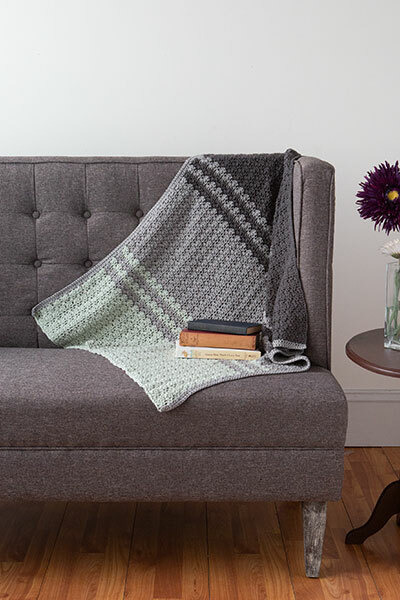 Sizes Included: 42" x 54"
Needles/Hooks Suggested: US 7 (4.5 mm) straight or circular knitting needles. 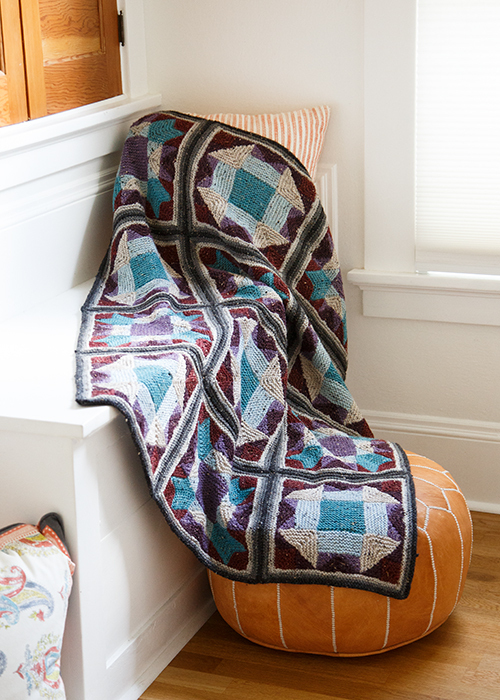 Combine craft traditions with this knitted blanket inspired by nine patch quilt blocks. 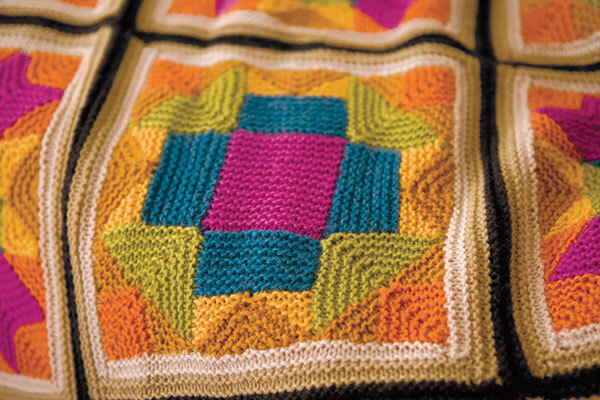 The New Traditions Afghan features twelve knitted blocks with two star designs. 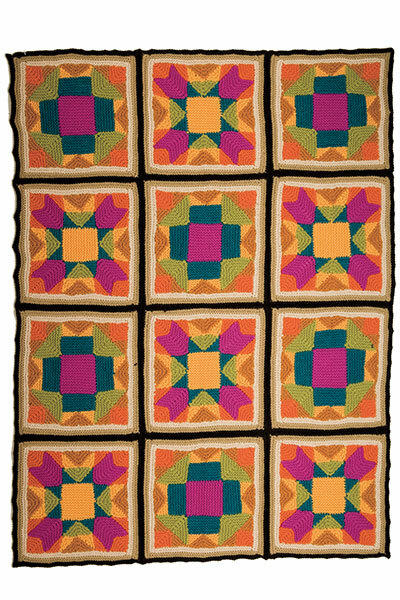 The geometric shapes are picked up and knit off of the edge of each other, to build a complex looking patchwork square. The colorful design is anchored by neutral brown and tan tones, but is still bright enough to be a focal point in any home. Needles: US 7 (4.5 mm) straight or circular knitting needles.